Mt. 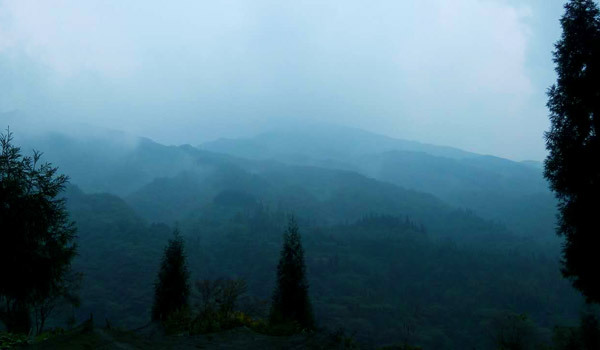 Emei, 3099 meters above the sea, sits at the western rim of the Sichuan Basin. It is a household name in China known for its gorgeous natural landscape, rich culture of Buddhism and Taoism. During the National Day Holiday this year, I finally had time to do the Mt. Emei trip of my dreams. I spent 5 days and 4 nights in the mountains and had an awesome time which I would cherish for my whole life. Whoever knows me will tell you that I’m a girl full of energy and enthusiasm. To challenge myself, also to avoid the crowd during the Golden Week, I chose a special tough route: tramping over the huge mountain i.e. trekking all the way through—from the back of the mountain to the front of it. The reason why I share this experience with you is not to incite you to choose the same route as me. I just want to tell you how fantastic Mt. 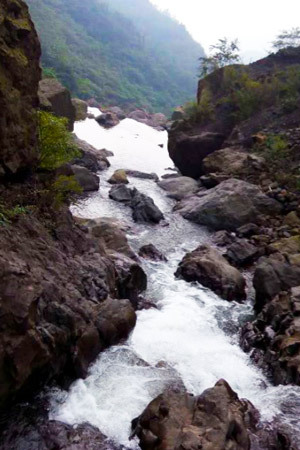 Emei is and it’s absolutely worth visiting. At about 19:30, we started off from Chengdu to Longchi County by bus. It was around 22：30 after we arrived there. After a short fresh up, we started our trekking. It was late in the night and the whole world fell into quietness in the darkness. The breeze was cool, the air fresh, and the sky was studded with twinkling stars. 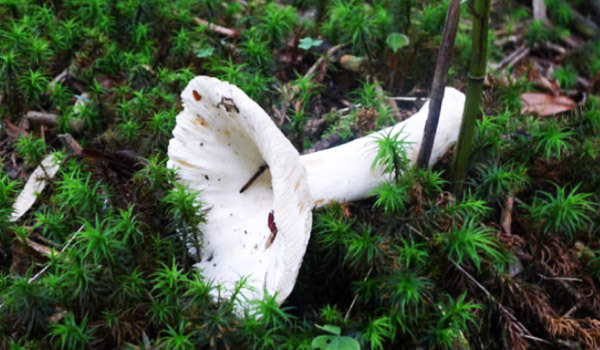 The breath was filled with the fragrance of the earth, crops, trees and flowers along the way. It was such a fancy and dreamlike experience that all of us held our breath in fear of waking up. We did not stop until around 03:00 am when we arrived at the foot of the mountain where we built our tents to sleep. We were woken by the cheerful birds at about 08:00 am. We washed ourselves in cool water (a little cold actually in the morning) from the stream. After washing, right beside the clear and murmuring stream, we did some physical exercise to recover ourselves from the night’s strenuous climb. After a simple breakfast, at about 11:00 am we started to trek tracing the stream. This day, we did not stop until 08:00 pm. We intended to continue our way to the mountain top but was held back by a heavy rain. All of us were wringing wet. It was a tough but memorable day. On day 3, we set off before 09:00 am. This was the most strenuous day. We had 4 members in our group in the first 2 days, but 2 of them left ahead of schedule, so we had only 2 left. The climb was so energy consuming that none of us uttered a word in long period of time. A profound silence prevailed over all. We buried our heads and walked and walked, just like we would never stop until to the end of the universe. Mountains after mountains were only what we could see. 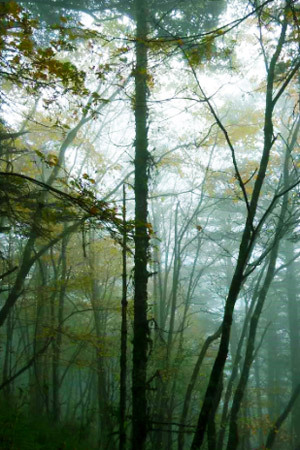 The altitude rose higher and higher that the fog got thicker and thicker. Gradually we were wrapped in a near-pure white world which was no less fancy than a fairyland. We felt desperate exhausted at times, but peaceful and happy mood reigned supreme. After about 8 hours’ continuous trekking, we finally reached the Wanfo Summit, the highest point of the mountain, with an altitude of 3099 meters! At the moment we stepped on the peak, we were terribly cold, hungry, tired, but happy! The last 2 days were more relaxing. We slept on a discard trail track to enjoy the comfortable sun for a few hours. And we spent much time to explore the Golden Summit and all the way along. The view on the Golden Summit especially the sea of clouds was just breath-taking. The sunshine and UV on the summit were quite strong, so I would like to remind anyone who goes there to prepare sun cream. After about 2 hours on the summit, we started to go down. To tell the truth, the mountain was so steep that it was hard even for walking down. But luckily the scenery along the way was so fabulous that we almost forgot our pain. Wild monkeys and squirrels appeared now and then. Monkeys were cute but also dangerous so that I need to warn dear visitors to avoid staying too close to them especially if you had food in your hands. We spent another night on the tent under a pavilion and continued our way to the foot of the mountain the next day. After having a hearty dinner at a nice restaurant, we took our late night train back to Chengdu. It was about 02:00 am when we finally got home! What a journey! 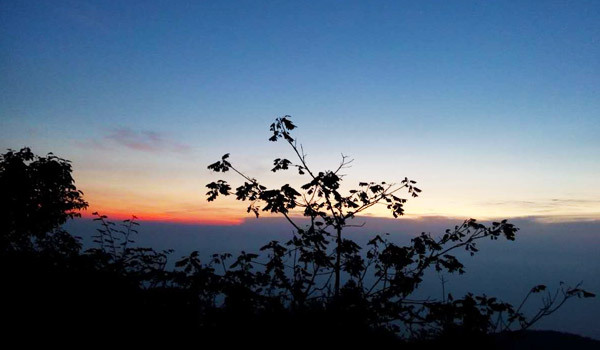 To summarize, Mt Emei is blessed with different sceneries in different seasons. I’ll definitely pay another visit in maybe Spring or Winter. 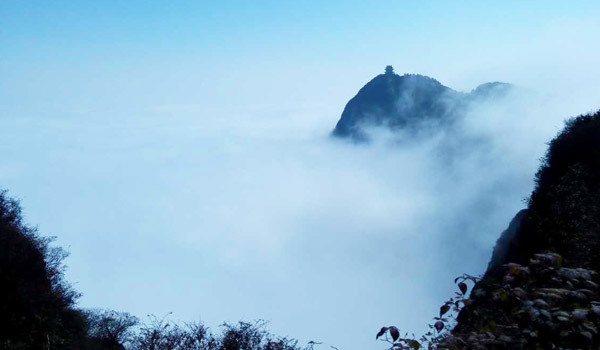 If you interested in the Mount Emei in Sichuan, you could go and take 3 Days Mount Emei Classic Walking Tour . 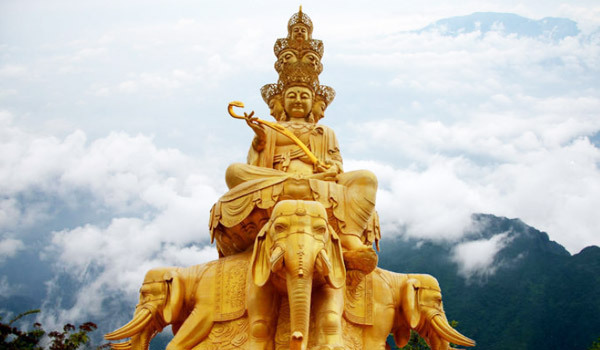 Or, you can customize your Mount Emei tour with China Discovery. 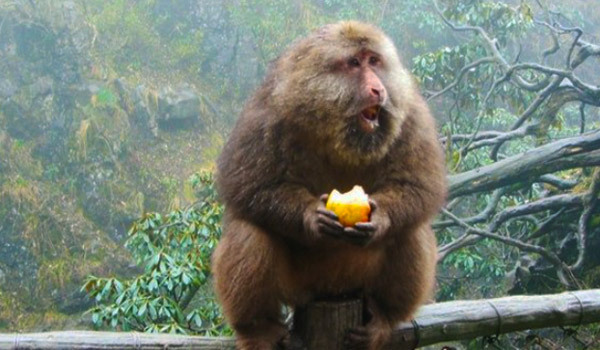 This entry was posted in sichuan tour and tagged Chengdu Tour, Mount Emei, Mount Emei Tour, Sichuan Hiking by Travel Expert. Bookmark the permalink.